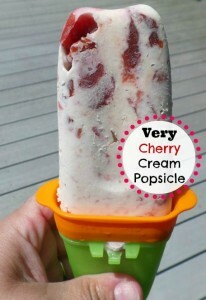 These very cherry & creamy popsicle are do delicious. You can add whole frozen fruit in them, to get chunks of delicious fruit. By making them yourself, you control how much sugar you and your family are eating, not to mention it saves money by doing it yourself! 1/2 cup sugar (use less for sweet fruits and more for tart fruits). In a blender or your mixer and add the heavy cream, sugar and vanilla. Seal and blend to mix the sugar and cream thoroughly. Add in 1 cup of frozen cherries. Tap on the counter to remove any air bubbles and pour more in if needed and place the top on. 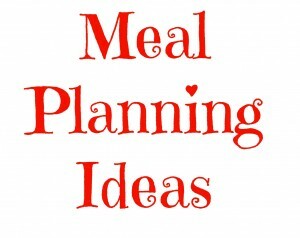 Place in the freezer and allow to set up over night.